La Cava & Jacobson Obtain Defense Verdict For Dentist In Miami - La Cava & Jacobson, P.A. Jon Lynn obtained a defense verdict for a dentist after a week-long trial in Miami. 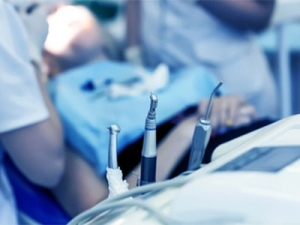 The dentist had been sued by a former patient who developed a life-threatening infection after the dentist had extracted four of her teeth to treat her chronic advanced periodontitis. The patient had to be hospitalized for almost a month, most of which she spent in the ICU on a ventilator. Her medical bills totaled almost $300,000. The Plaintiff claimed that the dentist misdiagnosed an obvious osteomyelitis of the mandible which resulted in the lengthy hospitalization. The defense argued that the infection represented a progression of the patient’s periodontal disease which occurred despite appropriate care by the dentist. The jury ultimately concluded that the dentist was not negligent and was not liable for the patient’s injury and damage.